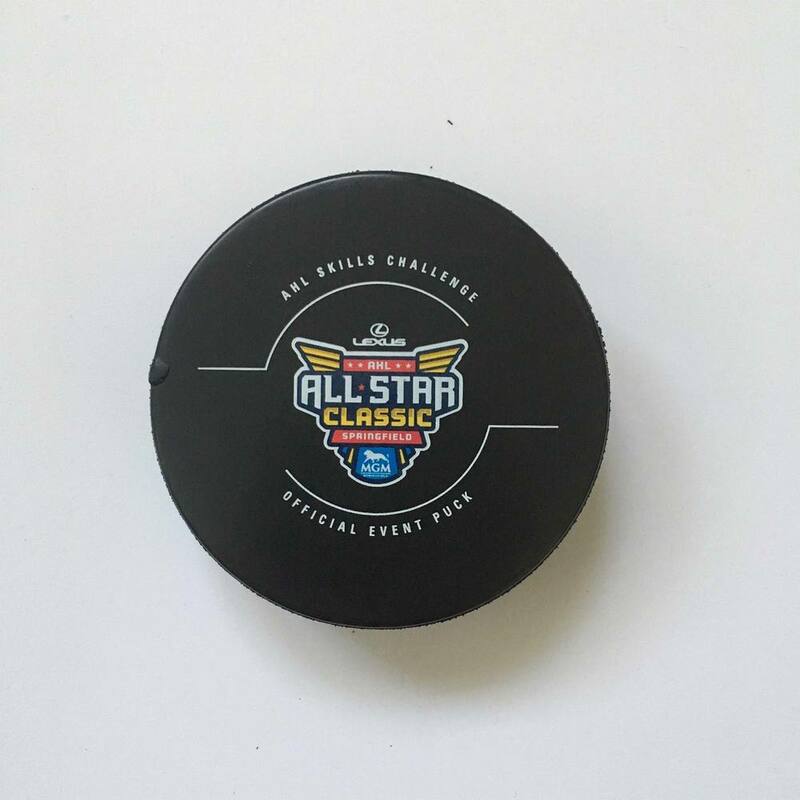 Place your bid now on this 2019 Lexus AHL All-Star Skills Competition game-used AHLTV Rapid Fire puck! 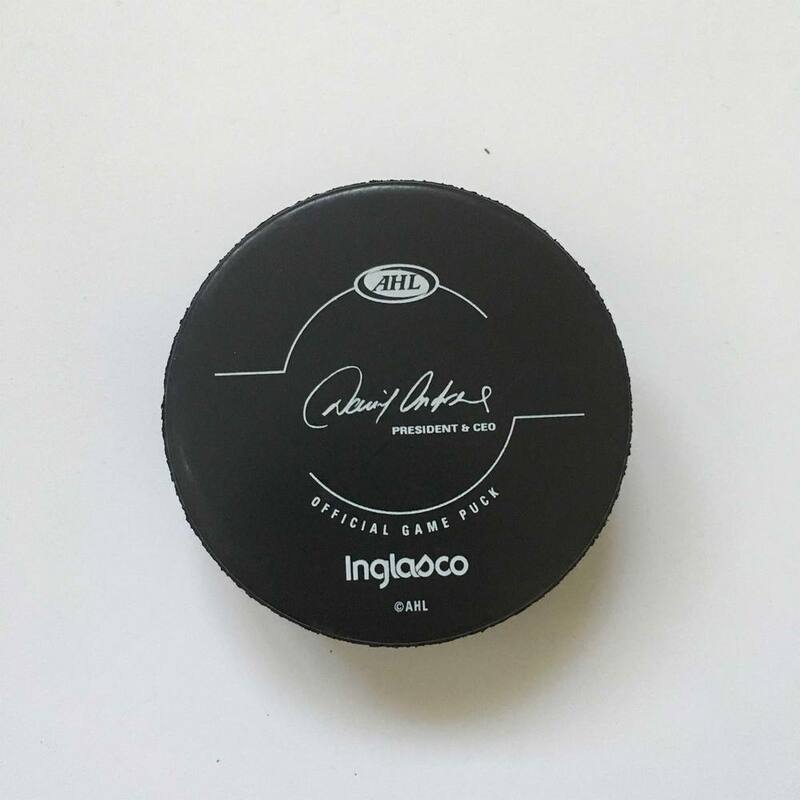 This puck was used during Round #2 in the AHL Live Rapid Fire Competition. Round #2 consisted of Curtis Lazar (STK) and Daniel Carr (CHI) shooting on goalie Mackenzie Blackwood (BNG). This puck is one of the 4 saves made by Blackwood.